The Third Circuit Court of Appeals recently dismissed two counts of civil rights violations against Bill Baroni, the former deputy executive director of the New Jersey Port Authority, and Bridget Anne Kelly, an ex-aide to former New Jersey Governor Chris Christie. They were both convicted of several charges based on their involvement in the infamous “Bridgegate” scandal that made national headlines. The appellate opinion tackles the complex issue of whether government officials could be guilty of violating citizens’ civil rights by affirmatively restricting the right to interstate travel. The court ultimately found that no constitutional right to interstate travel absent government interference had ever been defined, and the defendants could not be charged with violating an undefined civil right. However, several additional criminal charges against both defendants remain, and the defendants now await re-sentencing on those counts. By way of background, the Bridgegate scandal involved a scheme hatched in 2013 by David Wildstein, Governor Christie’s former director of interstate capital projects for the New Jersey Port Authority, to reduce the travel lanes from Fort Lee to the George Washington Bridge down to just one lane to jam up all traffic on the first day of school. The lane closures caused a massive log jam for thousands of commuters and also restricted major road access to hospitals and emergency service centers for first responders. Wildstein apparently launched this plan as a form of retaliation against the mayor of Fort Lee because he declined to endorse Governor Christie’s reelection. While Governor Christie denied any knowledge of the scheme or any involvement at all, former officials within his administration have been battling criminal charges regarding the incident for about five years now. Before the Third Circuit issued its latest opinion dismissing the civil rights violation charges in these Bridgegate cases, Baroni was sentenced to 24 months in prison. Kelly received a sentence of 18 months in prison after emails from her personal account showing that she personally authorized the shutdown of the traffic lanes were admitted into evidence at trial. Kelly claimed that Governor Christie had advance knowledge of the Bridgegate plan and tacitly approved it before she sent the email requesting that the lanes be shut down. Baroni unsuccessfully argued that he never had any knowledge that the reason for the requested lane closures was for some sort of political retribution. Wildstein pled guilty and cooperated with the prosecution in testifying against Kelly and Baroni in exchange for a deal to avoid prison by only serving three months of probation. During their criminal trial and on appeal, Kelly and Baroni’s defense attorneys argued that the government’s charges of wire fraud and the misappropriation of government resources was “unprecedented” and “not legally sustainable.” They contended that there was either no measurable loss in government resources or that the actual amount of money involved was so insignificant that the defendants could not possibly be charged with a misappropriation of public resources. In addition, defense counsel argued that these cases were not appropriate for charges of corruption and fraud because there was no use of public funds for personal gain by either defendant. The defendants claimed that they did not benefit personally from this plan and were only acting to fulfill the wishes of the governor. Defense counsel tried to paint the prosecutor’s tactics as unlawful by arguing that the prosecutors were trying to impose a new criminal theory onto the defendants’ actions that simply did not fit or amount to legitimate charges against them. The Bridgegate defendants’ position was that serious criminal statutes typically reserved for public officials caught pocketing money for personal gain were misapplied to their cases. The Third Circuit ultimately rejected the defendants’ arguments, and Kelly and Baroni’s defense attorneys have stated that they plan to appeal to the U.S. Supreme Court. In the meantime, Kelly and Baroni have not served any time in jail while waiting for their appeal to be heard and will soon be re-sentenced based on the latest dismissal of the civil rights violation charges. As this recent appellate court opinion reminds us, charges can be dismissed even after the sentencing phase of a federal criminal trial. The dismissal of several charges can result in a reduced sentence for any remaining charges. If you or your loved one are facing a serious federal criminal charge, whether political like Bridgegate or not, it is crucial to be as attentive and vigilant as possible in all aspects of the criminal trial, including the sentencing phase. 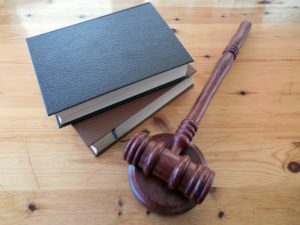 Even if you have already been convicted of a federal crime, there may be steps you can take to prevail on appeal or have your sentence drastically reduced. To make sure that you or your loved one have the opportunity to protect your freedom, you should partner with a seasoned criminal defense attorney as early in the process as possible. Call Brandon Sample, Esq. today at 802-444-HELP to set up a consultation about your criminal matter. Attorney Brandon Sample serves as an aggressive and proactive advocate for those facing all types of serious federal criminal charges or convictions. He is a trusted attorney in federal criminal appeals cases who prides himself on exploring all meaningful opportunities to have criminal sentences overturned or significantly reduced. Set up your consultation with Brandon Sample today to get started on taking control of your situation and finding all possibilities to secure your freedom.